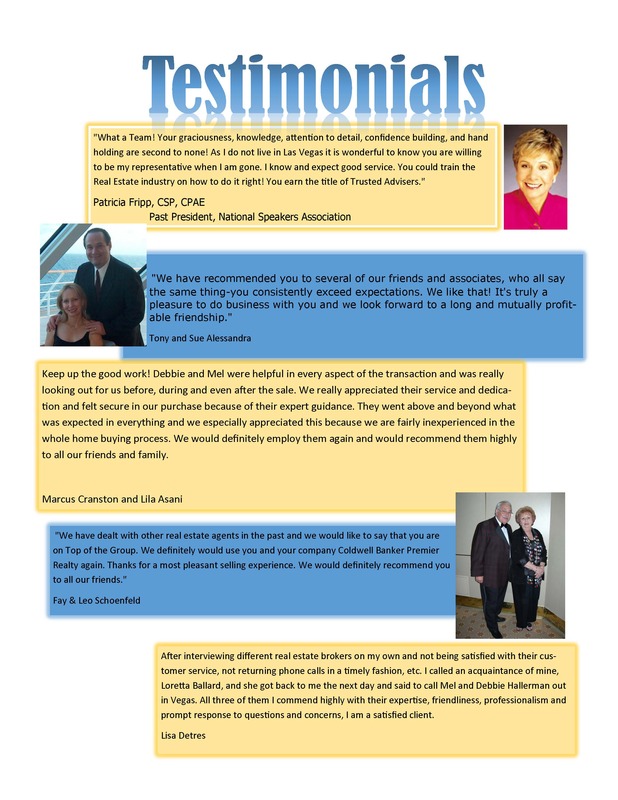 "They are true experts when it comes to client service and creating ultimate experiences. At the time that Debbie and Mel came into my life, I was a new widower needing to sell the house I shared with my late wife. They had a laser-like focus on helping me — in ways including, but not limited to real estate — and created an ultimate experience for me. It is something I will never forget. And…guess what? 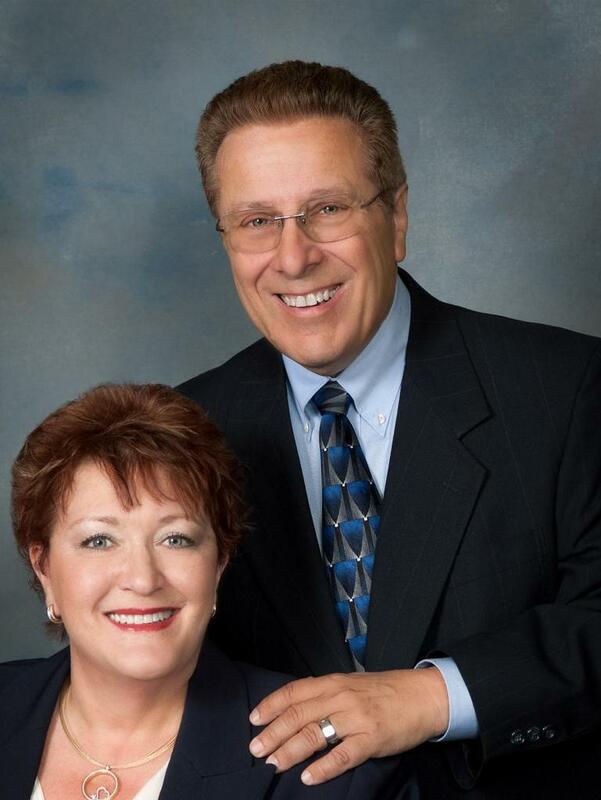 I will recommend them every chance I get…and, if Tammy and I ever decide to purchase a second home, or move to Las Vegas, there is absolutely no doubt about whom we would call for help." "From the first time we met, you directed us, gave us your knowledge and friendship and helped us navigate through unfamiliar territory of relocating to an area we knew nothing about. There wasn't any subject we couldn't ask for help on, any area that you didn't research for us and most importantly, you never made us feel like we were imposing. We also appreciate that you didn't exert any sales pressure such as we have felt with other brokers. How terrific for us that we got not only our beautiful new house, but you two as our new friends."